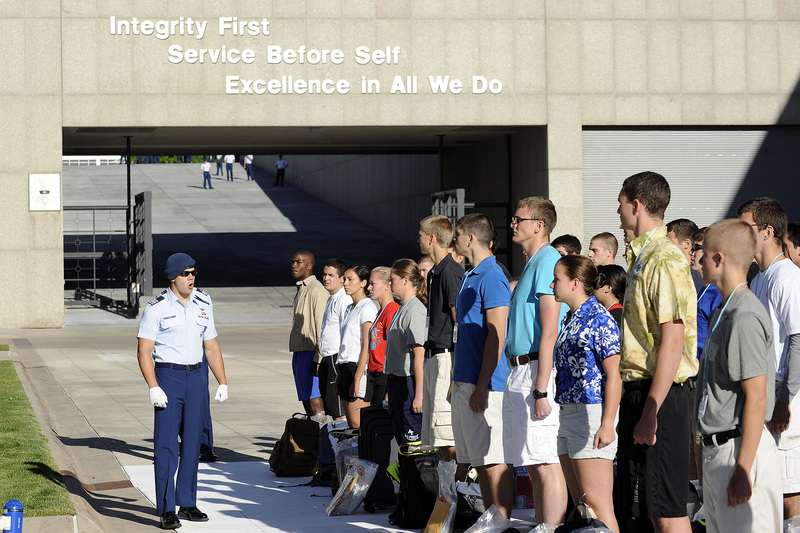 On Monday morning, 1,160 basic cadets making up the US Air Force Academy’s Class of 2018 will assemble in the cadet area on-campus, and begin marching several miles to the most challenging part of their basic training: Jacks Valley. They’ll spend the next 11 days living in a tent city, running assault and obstacle courses, learning first aid, drilling with weapons, and learning leadership skills. And Air Force Times is going to be there. This weekend, photographer Mike Morones and I will fly out to Colorado Springs. We’ll be there for the march and the first few days of their Jacks Valley training, as well as other training activities on base. Like I said earlier this month when the Class of 2018 began their training, we’re looking forward to meeting the next generation of Air Force officers and learning more about why they’ve decided to serve, and seeing how they meet the challenges that come with basic training.